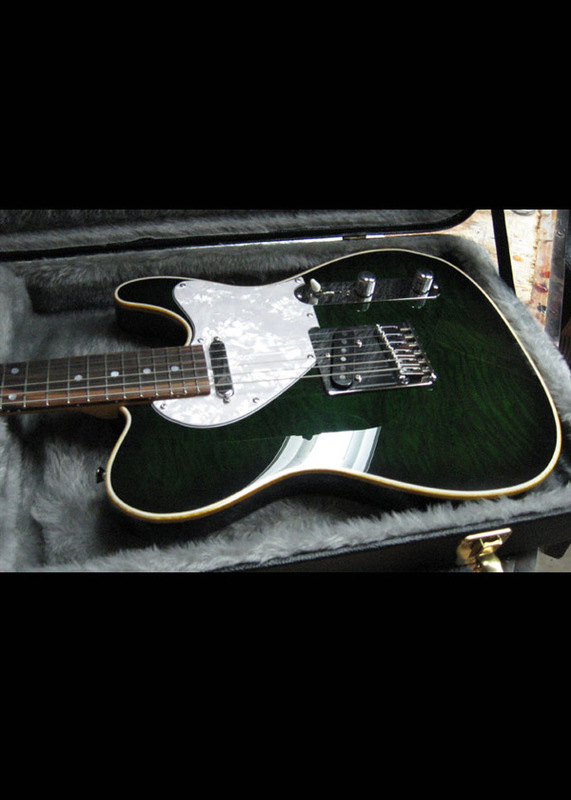 If you like emeralds you will love the color of this guitar. The body wood is poplar with a beautiful 5A curly quilted maple top. 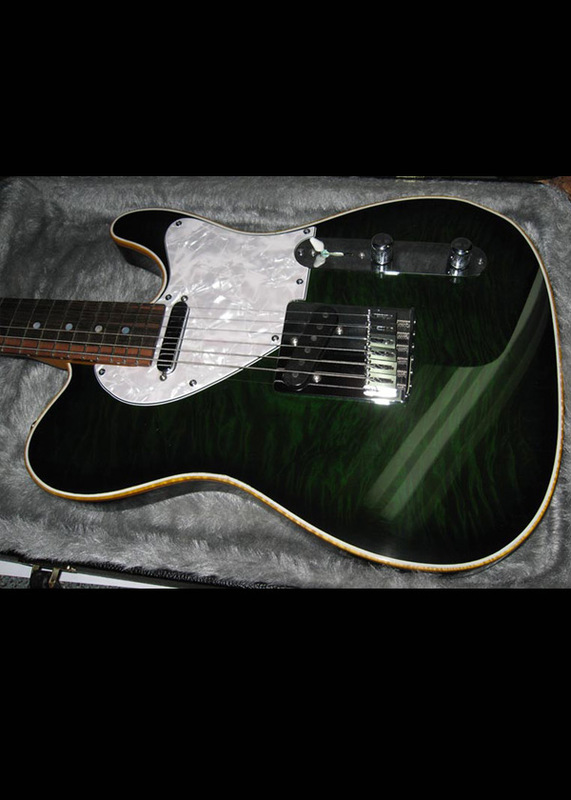 Also, this guitar has two layers of binding around the body. The first layer is a thin white binding on the inside and a beautiful curly maple binding on the outside edge which has been tinted amber. Further the guitar has a custom white Pearloid white pick-guard, chrome hardware and quality components and parts. 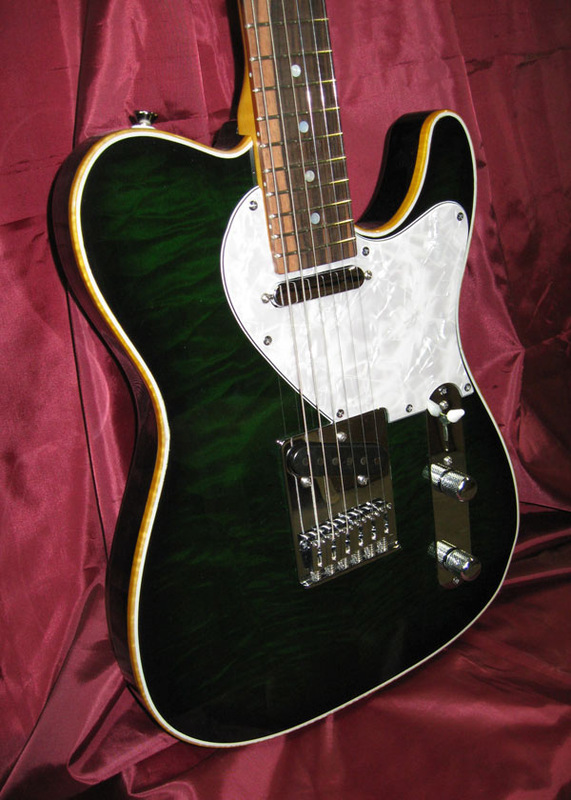 The guitar has two single coil Lollar pick-ups and a thick catalyzed polyurethane finish. The neck has a beautiful Madagascar ebony fingerboard, 12" radius, bone nut, Gotoh tuners, tinted amber headstock, etc. This guitar was a custom order from the UK. If interested in having one like this custom made let me know. 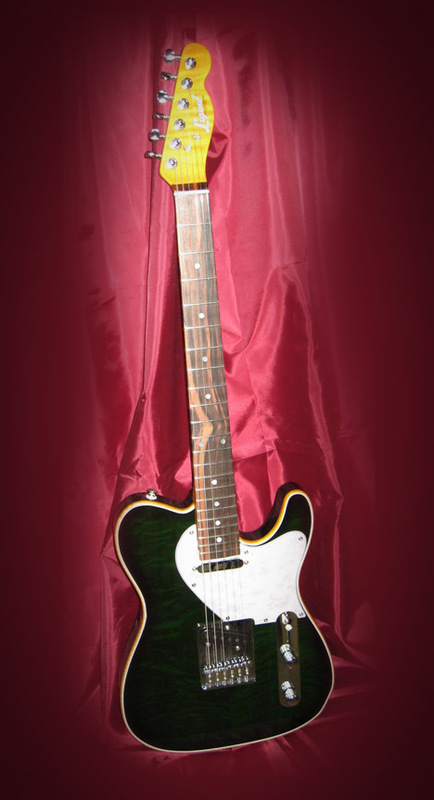 For more information on this guitar feel free to call 902 462-6292 or send us an email.